A NEW edition of a Thomas Fraser album is being released on vinyl in conjunction with this year’s national Record Store Day event to mark the 40th anniversary of his death. Produced by his grandson Karl Simpson, the late county musician’s Long Gone Lonesome Blues has been remastered with new technology. It features new notes from Simpson and writer Duncan McLean, and the vinyl will be in 180 gram format. Simpson said he was “keen to do something to mark the anniversary of Thomas’s death”. This year’s Record Store Day takes place on 21 April and it will see independent music shops across the country sell especially made releases from a slew of bands and artists. “The Record Store Day event is something that has really taken off in recent years and I felt like it was something that we should be involved in,” Simpson said. “The type of people who are appreciating vinyl nowadays are very close to the market we are working in so I felt Thomas’s stuff would fit in very well with the whole concept. Simpson added that there will be another Thomas Fraser Memorial Festival held on 9 and 10 November. 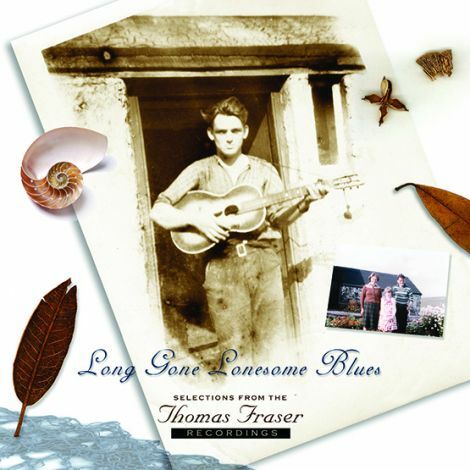 Fraser was a fisherman and crofter from Burra who left thousands of songs recorded at home using a reel-to-reel recorder, and his music was first released in 2002 after his tapes were undiscovered for 25 years.